TVU Command Center offers centralized remote management and control of all your TVU products and services. As a cloud-based solution, it offers the convenience of remote access from anywhere with an Internet connection. TVU Command Center also supports TVU Analytics and TVU Booking services. TVU Analytics provides full monitoring of your TVU transmitter’s data usage and offers pre-set alerts for data usage thresholds. The TVU Booking service allows for the scheduling of automatic live video transmissions for multiple TVU devices. TVU Command Center also permits IP video sources to be added or deleted, transmitted and output to a third party website or content delivery network (CDN) such as Akamai, YouTube Live, and Ustream. 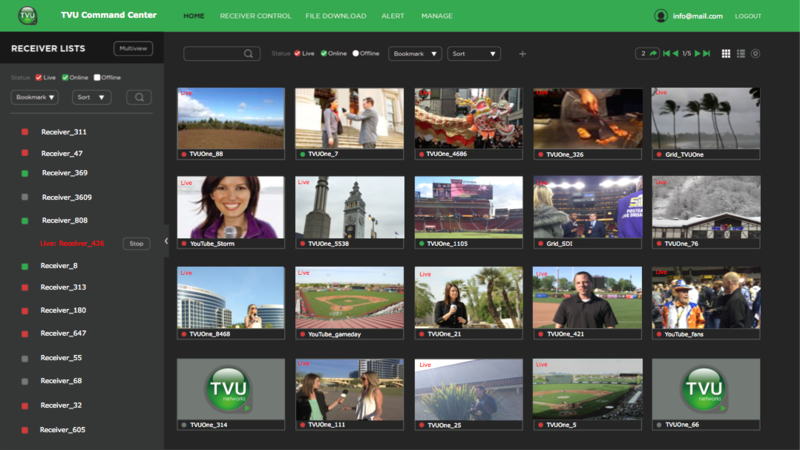 Video clips from TVU transmitters can be easily downloaded and managed from a central point, and edited clips output to FTP or multiple video sources.